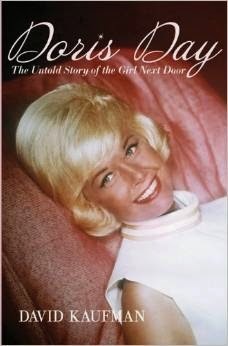 In 2008, Virgin Books released David Kaufman's biography of the quintessential girl next door, Doris Day. The book is over 500 pages long (tiny print), but given the length of Doris Day's successful career--ranging from singing to acting to advocating and spanning over five decades--any book worth its salt would have to be biblical in proportion to other stars' biographies. Day not only recorded hundreds of hit songs and starred in dozens of films (appearing in 39 total), she was also a cultural icon, representative of the ideal American woman in the '40s, '50s, and early '60s. She retains the distinction of being the number one female box-office star of all time, faltering only when America's social mores evolved and her image did not. 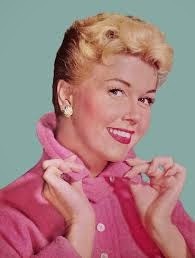 Kaufman's book delivers; it is a comprehensive account of Doris Day's life, which was much more complex than the sunny image she projected on screen. Although the world associated her with the virginal all-American good girl, she had already survived an abusive marriage, given birth, and divorced twice before she ever arrived in Hollywood. She was also an established singer, who had found great success performing with Les Brown's band with such hits as "My Dreams Are Getting Better All the Time" (1944), "You Won't Be Satisfied" (1945), and most notably "Sentimental Journey" (1945). She was popular among soldiers--including a then unknown Rock Hudson--"join[ing] the ranks of Betty Grable, Rita Hayworth, and Dorothy Lamour as one of their favorite pin-ups" (39). Here was not the pristine Day that America would come to know. 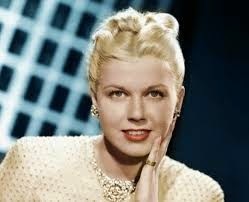 As Oscar Levant once remarked, "I knew Doris Day before she was a virgin" (399). Kaufman provides brief descriptions of movie plots; i.e. 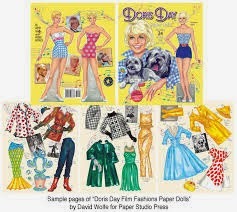 doesn't go overboard as some biographers do, which allows him to focus on how Melcher created the Doris Day persona and how she, in turn, became a cultural icon. Melcher insisted on final approval of media (no approval = no interview with his famous wife), strategically selected Day's film roles, and arranged promotional activities to keep Day in front of the public. For an example of how specific Kaufman gets, consider this promotional detail: a $3.98 album featuring two songs from Lover Come Back "could be 'yours for only $1 and 2 larger crowns from the fronts of 2 Imperial [butter] packages'" (299). He also includes information on movie budgets (Day's numerous costumes notwithstanding--after all, her beautiful clothes were a big part of her image), behind the scene decisions, and public opinion. By including such information, Kaufman transports the reader to another time when Day reigned. Day, a workaholic, became all product. She was the sunshine girl at all times. If she didn't like a hairdresser or camera man, Melcher would take care of it and she would smile on. If she didn't like a question or comment, she ignored it as though the words had never been spoken. On occasion, glimpses of the real turmoil beneath the image-- the tip of a large iceberg hidden in the water--came through in the form of a film role. Such was the case in the role Day herself believed to be her greatest performance: Ruth Etting in Love Me or Leave Me (1955). There were several similarities between the real life Etting and Day: both were singers, both had husbands who beat them (Day's first husband), both had husbands who were managers and tirelessly "promoting and exploiting [their wive's] natural talents" (184). If Day was incredible as the made up girl next door, she was ten times as great playing a character who resembled herself. In Midnight Lace (1960), a film that Melcher insisted his wife undertake despite her apprehension, Day again tapped into fears she would have preferred to have kept bottled up. When Day becomes hysterical in the movie, "'[...] that isn't acting. She really means it'" the director, David Miller, observed (273). After divorcing her fourth husband, she moved to Carmel where, to this day, she happily houses dozens of dogs and cats. She returned to TV in the '80s only to promote pet health and care on Doris Day's Best Friends. 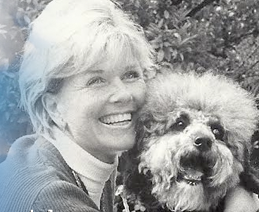 She continues to be an advocate for animals through the Doris Day Animal Foundation. Kaufman is thorough in his research for this biography. He gathers information from a variety of sources, including interviews from a multitude of people who worked with Day over the years. He diligently presents both positive and negative perspectives of Day, her work, her husbands, and her relationships with colleagues and employees. 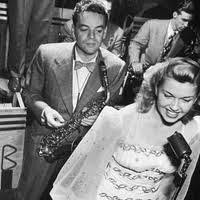 He also includes Day's opinion, pulling from the biography on which she worked with A.R. Hotchner (Doris Day: Her Own Story - 1975) and her interviews with the media through the years. He is meticulous in giving the context of her statements, so one might consider the motivations behind them, and making corrections when her timeline is mistaken. There is so much more to the book than I can possibly include here. Kaufman sprinkles interesting tidbits throughout, bringing the reader into a bygone era. He includes quotes from fan magazines, gives the reader a glance at early product placements in That Touch of Mink (1962), and chronicles how the Manson murders where connected to Doris Day via her son (her son being a target, not a murderer). Because Day was such a significant figure in American culture, Kaufman's book essentially becomes a time capsule of Hollywood history. One final thought. Day came to regret and wanted to distance herself from her virginal image. It is humorous that this definitive biography of her life is published by a company with 'virgin' in the title: Virgin Books. She just can't escape the association. But you know what? I kind of enjoy that image--even if it is make believe. Wonderful review! 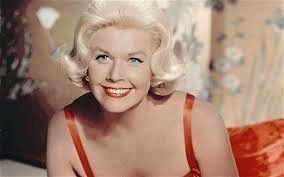 Doris Day as a personality seems so simple on the surface but so complex underneath. I'd love to read more about her and this book has been on my wishlist for a while. Thanks! 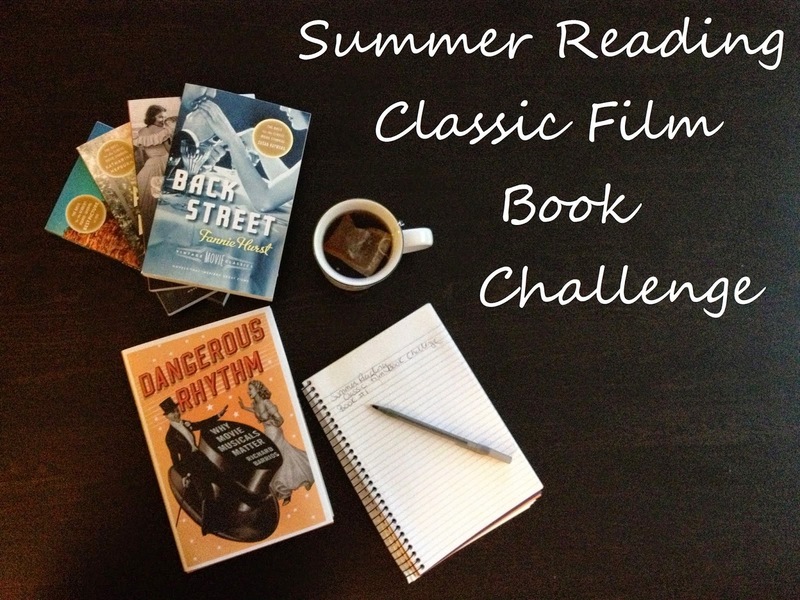 Thank you for taking the time to organize this book challenge and read our posts. =) It's been fun!